Four seems to be the new magic number for Bledi Bardic. The Cedar Stars Academy forward netted four goals versus Doxa S.C. in a 7-1 victory to earn the CSL’s fourth round Player of the Week. Bardic also racked an assist to add to his quadruple. It’s the 26-year-old’s first time being selected as CSL Player of the Week. “Winning Player of the Week is a good feeling of course but my intention is to help the team win every game this fall [the length of his loan move from New York Cosmos B],” Bardic said on winning the accolade. One of the Montenegro native’s best goal of the night was when he cut back on the right wing before sizzling a shot to the bottom far corner of the net. Bardic explained that his four goals and his assist was the result of a collective effort and he’s eager to help Cedar Stars keep their perfect domestic record during his loan move—the club is 3-0-0 in the CSL now. “Scoring four goals and assisting one it ain’t easy but that’s the hard work of the whole team, every player included, but as long as we are 10-0 by December 9th, it’s all that matters,” the striker said. Later on Tuesday night in the Stars’ next match, which was a massive encounter against four-time champions Lansdowne Yonkers F.C., Bardic found the net again as he beamed a left footed shot to the top corner of the net from the top of the box. Bardic’s goal put CSA up 1-0. The game was later postponed in the 55th minute due to lighting. The forward’s goal versus Lansdowne boosts his scoring record to eight goals in about four league matches. Bardic is now tied with his teammate Christopher Katona for the most goals of the season so far. In all competitions, the New York Cosmos B forward has 10 goals to his name in five appearances. Bardic noted that his loan move to Cedar Stars is helping him stay at the top of his game before the NPSL Pro season. “CSL games will help me stay fit and sharp and be ready for preseason and get the new pro season going good and performing at the best I can that’s why I joined Cedar Stars to stay fit, help them and to be ready for 2019 season,” he said. 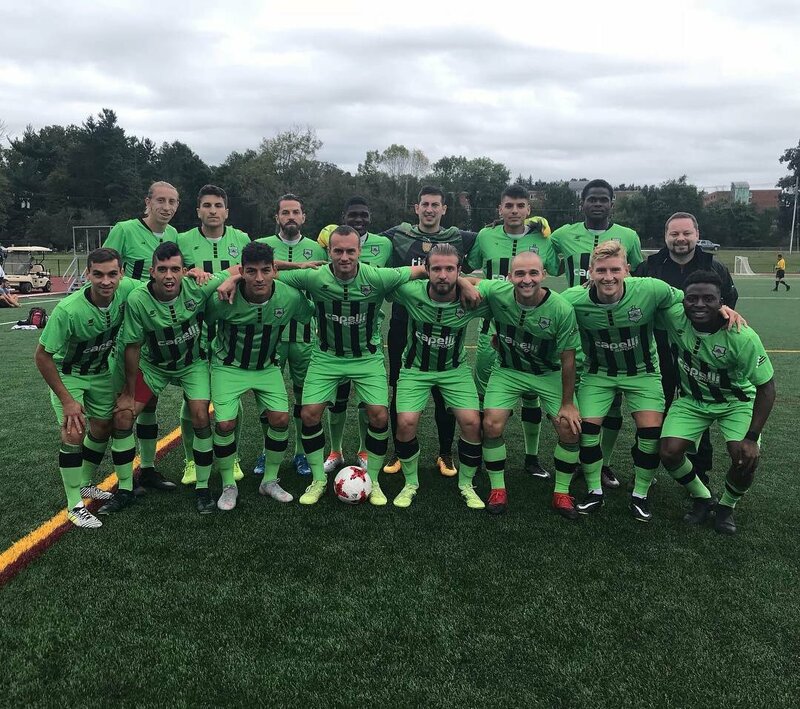 Bardic’s next outing with the Stars is on Sunday at 8:00 p.m. as CSA hosts Central Park Rangers Whites at Capelli Sport Complex.